They are summoned for questioning on 13 and 19 March. 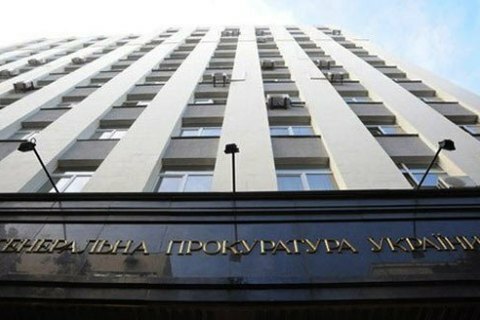 The Main Military Prosecutor's Office of Ukraine has issued notices of suspicion with regard to the chairman of the Russian Constitutional Court, Valeriy Zorkin, and 18 other judges of this court. They are suspected on complicity in encroachment on Ukraine's territorial integrity and sovereignty during the annexation of Crimea, Ukrainian Prosecutor-General Yuriy Lutsenko has said on Facebook. Lutsenko recalled that on 18 March 2014, Russian President Vladimir Putin and self-proclaimed representatives of the so-called "Crimean authorities" Serhiy Aksyonov, Volodymyr Konstantynov and Oleksiy Chalyy signed "the agreement on the acceptance of the Republic of Crimea into the Russian Federation and the creation of new entities with the Russian Federation", which, as he said, has no legal value. "The next day, 19 March, judges of the Russian Constitutional Court, acting in complicity with representatives of the government and the armed forces of Russia as accomplices in encroachment on Ukraine's territorial integrity and sovereignty by the latter, in blatant violation of procedures and requirements of Russian legislation and Russia's international commitments, unanimously ruled that this good-for-nothing 'agreement' between the Russian Federation and the so-called 'republic of Crimea' on the inclusion of this quasi-formation in the Russian Federation is in line with the Russian constitution," he said. According to him, Zorkin said in one of the interviews that the final document "had been made in two hours, which is unprecedented for Russia's top judicial body" and that they had to hurry because of the "events" and the "president's request". The summonses were delivered to the Russian Constitutional Court, he added. If the mentioned officials fail to report for questioning, they will be put on a wanted list.